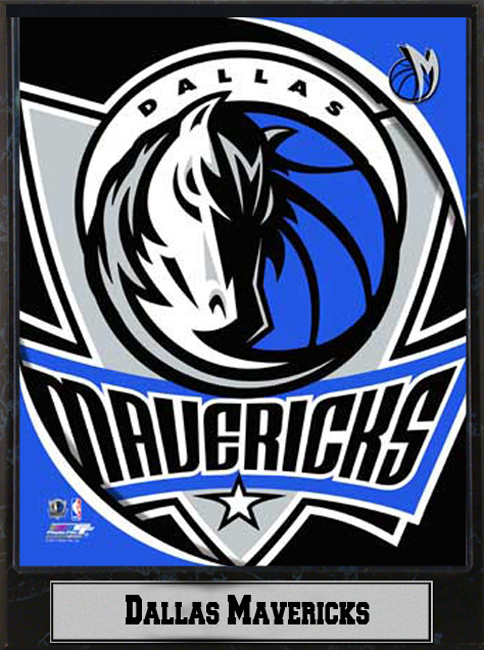 Dallas Mavericks logo photograph nested on a 9"x12" plaque. Comes with a Beautiful Certified 8" x 10" Photograph of the Team Along with a Custom Metal Nameplate. The Piece Comes Ready to Hang on Your Wall .This Is an Absolutely Gorgeous Piece of Memorabilia for Your Home, Business, or Office. Impress Your Friends, Family, Employees and Colleagues with This Hanging on Your Wall. This Is a Must Have for All True Mavericks Fans!